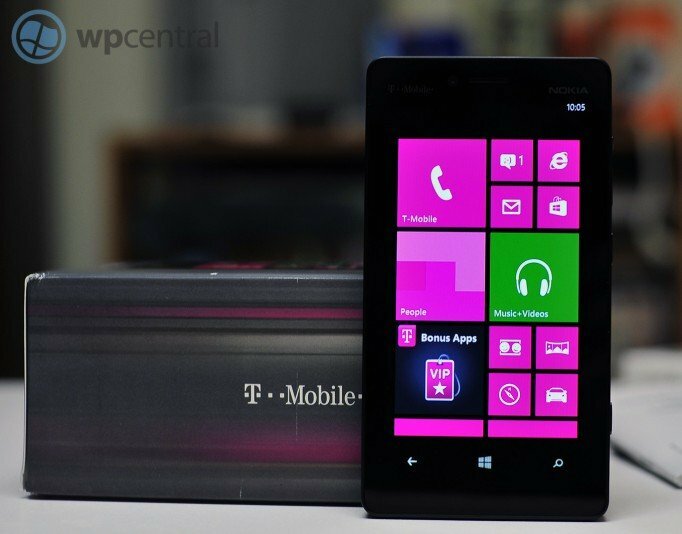 Good news for those of you on T-Mobile US with their exclusive Lumia 810 Windows Phone 8 device, starting today at 10AM PST/1PM EST, users can begin to get OS and firmware updates for their phones. This follows a few weeks after T-Mobile rolled out a similar update for their HTC 8X lineup. The update will bump the OS to version 10211 aka 'Portico' and the firmware to 1249. The OS update from Microsoft includes new features such as persistent Wi-Fi, Wi-Fi hotspot detection, SMS call reject, some Internet Explorer enhancements and other general OS improvements. The firmware from Nokia should include some tweaks to device performance, including auto brightness adjustments, sensitivity and other system settings. "A Nokia Lumia Windows Phone 8 software update providing performance enhancements for the Nokia Lumia 820 and Nokia Lumia 920 – as well as the Nokia Lumia 810 in the US - has started rolling out over the air to first operators. Delivery will continue in a phased manner over the coming weeks and is expected to be complete by mid-March. People will receive a notification on their phone when the update is available for them to download." Of course users can manually check for the update by heading into Settings –> Phone Update –> Check for Updates to get the over-the-air (OTA) system upgrade. The device will then download the OS with firmware and install both over a 15-20 minute period (your experience may vary, of course). Sound off in comments or in our forums with your experience and thoughts on the update!